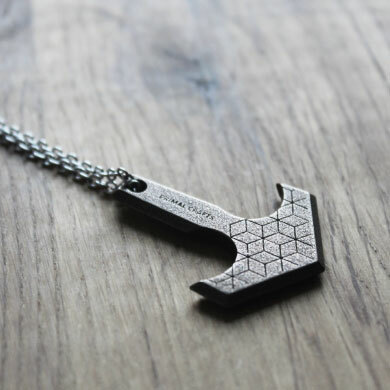 Polished Bronze Steel hammer pendant with visible geometric texture. Two chain options are available. Link and wheat chain, both in stainless steel. I love it! It has a slight brown Tint (not shown in the picture) but it is beautifully made. Also, if you want a chain that’s longer definatly go for the 67mm. I thought that the 45 would be long enough but I want it longer. ( but not the company’s fault)! The necklace arrived on time and in great condition. If you want a pendant you can wear at any time definatly go for this one!! Love this! Had the pendant shipped to Canada, and used the regular shipping option, and it was here within a month! It was super easy to pay, and the company had the money conversion all worked out. Bought as a gift for someone else. The pendant is a beautiful weight and definitely one that can be worn everyday. 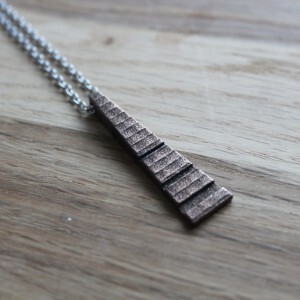 The slate option gave the pendant a really cool brown/ red colour which makes it look more authentic, I think. Really great feature having the pendant attached to the actual chain ( I ordered the wheat chain) keeps it from sliding around the chain all the time. The wheat chain was amazing! 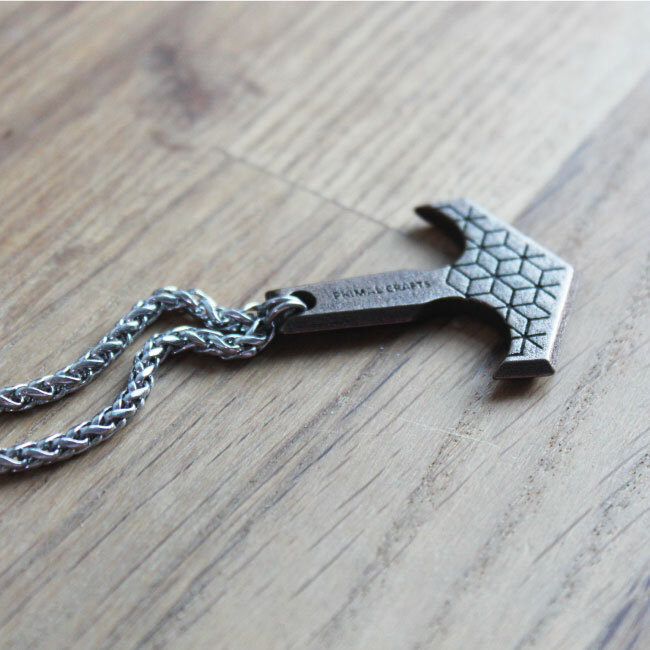 Looks just as good as the pictures and adds to the overall feel of the pendant. 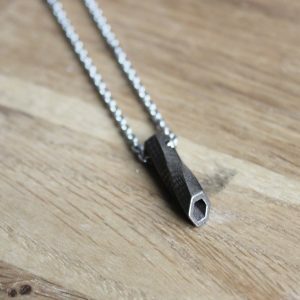 I got the 50 cm Wheat chain and it was plenty long enough, hanging about 10 cm down below the collar bone to the point of the hammer, wouldn’t really want it longer for wearing everyday as I feel it would get caught on things. The company was fantastic to deal with, and emailed me to make sure everything was good with the order I had received. Extremely happy with this purchase! !